Clifton James "Jack" Richards (born 10 August 1958 in Penzance, Cornwall, England) is an English former cricketer, who played in eight Tests and 22 ODIs for England from 1981 to 1988. He was a wicket-keeper and a useful lower-middle order batsman, who made 133 for England against Australia at the WACA, Perth in 1987. The cricket correspondent Colin Bateman remarked that "an ability to rub people up the wrong way counted against Jack Richards, England's most gifted wicketkeeper-batsman since Alan Knott. Always competitive, often outspoken and sometimes disruptive, Richards was alert and agile with the gloves although prone to the odd lapse". 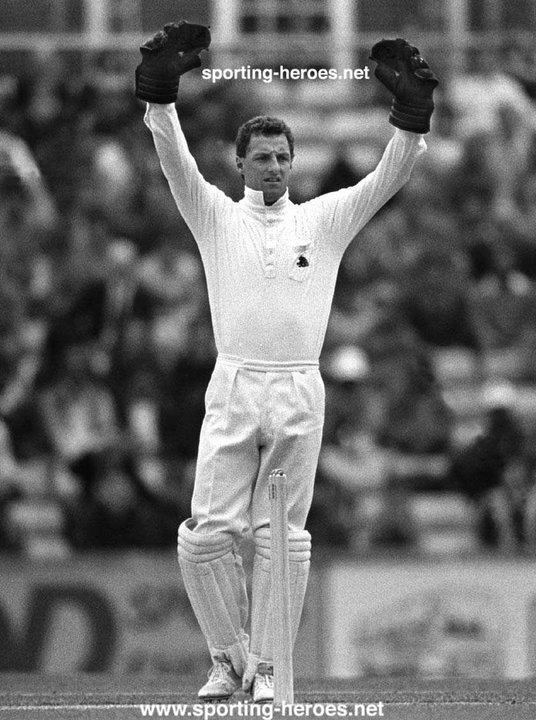 After making his Surrey début in 1976, he toured India and Sri Lanka as reserve wicket-keeper to Bob Taylor in 1981-82, and forced his way into international contention again in 1986, when his batting produced over a thousand runs. He played two One Day Internationals against New Zealand, and was picked for the 1986/87 Ashes tour, initially as cover for Bruce French. However, England opted to play the wicket-keeper more likely to score runs, and he recorded his century at Perth in only his second Test as England piled up 592 for 8. Richards scored 264 runs at 37.71 in the Tests on the tour, but his batting tailed off after his bright start, and French resumed his place in the side at home in 1987. Richards toured New Zealand and played two more Tests against West Indies, but, despite a record benefit season for Surrey, he was released by the county amid dressing room unrest at the end of 1988. Despite his England pedigree, he was not re-engaged by another county, and retired at the early age of 30, to a career as a ship operator in the Netherlands. He is also the manager of the Belgian Under-16s rugby union team, and the coach of the Antwerp Cricket Club. He currently the head coach for the Belgian national cricket team.